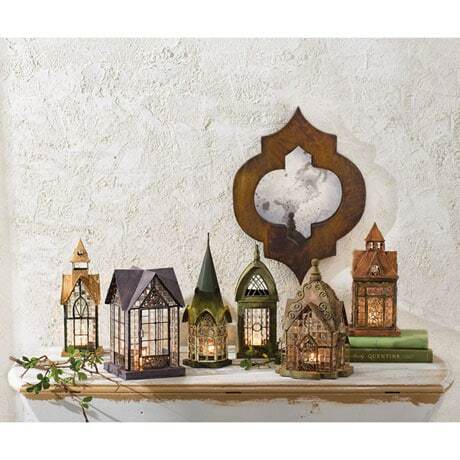 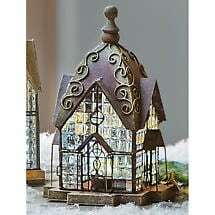 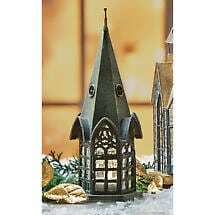 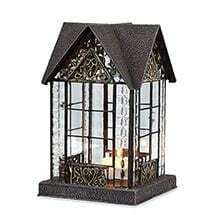 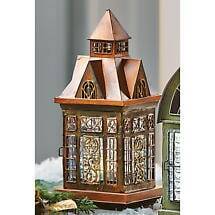 Combining design elements from days gone by--fancy metalwork, Gothic arches, beveled glass--these lanterns are romantic and fanciful, like fairy houses. 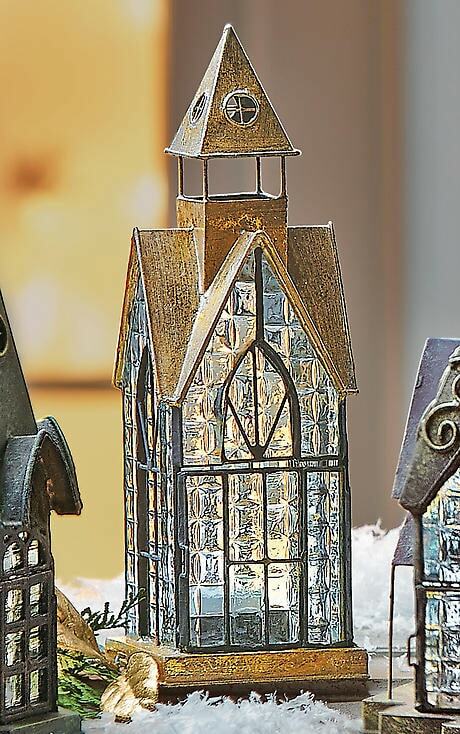 Metal and glass, each is about 12" high. 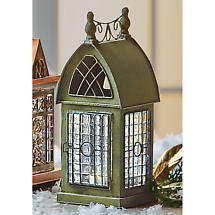 Use only with LED votives or tea lights (both sold separately).